← Postal Rates Increasing May 31? Today is May 1st or May Day. 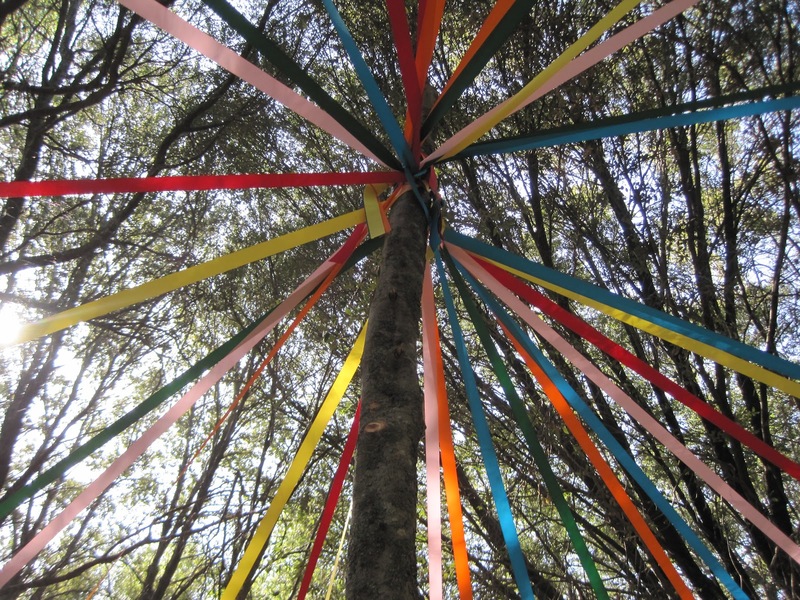 I remember May Day as a child with school celebrations that included May Pole dancing on the playground which could result in a pretty amazing ribbon wrapped pole, or a colorful mess. And making May Baskets of construction paper filled with spring flowers for your mom and grandmother. In researching the history of May Day, I found that English villages in the Middle Ages all had Maypoles, which were actual trees brought in from the woods in the midst of rejoicing and raucous merrymaking. Maypoles came in many sizes, and villages were said to compete with each other to show whose Maypole was tallest. Which led me to thinking about trees . . .
That are made into paper . . . that magically become direct mail . . . that travels through the postal system into your mailbox to entice you to buy products and services. At Johnson & Quin we make our living by producing direct mail. We belong to Two Sides, an independent, non-profit organization created to promote the responsible production, use and sustainability of print and paper. 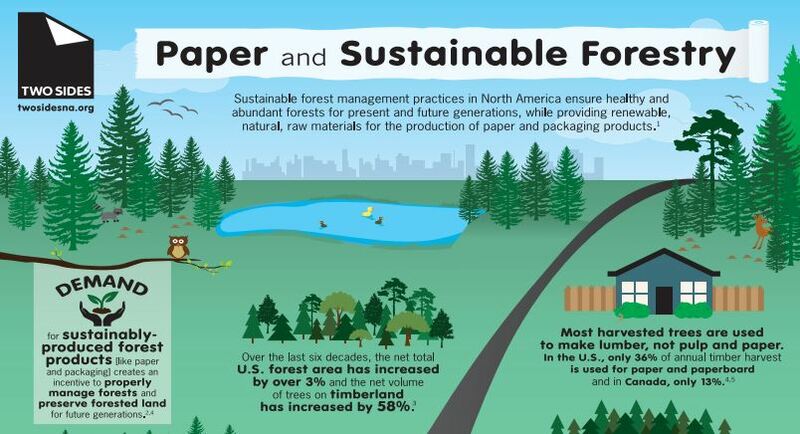 Two Sides recently released an infographic on Paper and Sustainable Forestry. You can download a PDF of the infographic here – Paper & Sustainable Forestry Infographic. Forests in the U.S. and Canada grow significantly more wood than is harvested each year. Most paper is made using wood by-products (chips) from the lumber industry and recycled paper rather than whole trees. The income landowners receive for trees grown on their land encourages them to maintain, sustainably manage and renew this valuable resource. As Two Sides states on their website – Print and Paper is recyclable, powerful and based on a renewable resource. In a multimedia world, it continues to be highly effective and can be a sustainable way to communicate when produced and used responsibly. For more information on Two Sides North America see their website at www.twosidesna.org. Enjoy a wonderful May Day! This entry was posted in Direct Mail, Environment, Paper and tagged Direct Mail, Environment, Paper, Print, Sustainable Forests. Bookmark the permalink. Reblogged this on Thrifty Envelopes.